This Report provides agents, landlords & property professionals with a fully investigative referencing solution. The aim of the Advanced Report is to address the key risks that are inherent to the property letting/management process. Every application is carefully considered and a final decision is only provided once the applicant's authenticity, credit history and successful referee verification is completed. An Advanced Rentdirectuk.co.uk Report is thorough, fair and efficient. We aim to process applications within 24-48 hours. In addition to ID & bank account validation, we will collect references (where possible) electronically and include these within the Report. It is important to ensure that the applicant and their referees are authentic & legitimate however it is also critical to establish the applicant's ability to afford the rent before an agreement is drafted. Verification of salary (employed applicants) or income (when possible) is included when a relevant referee is included on the application form. Whilst the chances of a successful applicant going on to default on rent are extremely low, this Report is accepted by various providers of Rent Guarantee & associated insurance cover. You can choose to have the tenant pay the £65 fee for processing the tenant applicant, this includes doing a credit check and Administration fee. 6 year credit history search. A. We advise that you choose the option of getting the tenant to pay for their credit aand background check and the admin fee, unless for marketing purposes it is an incentive to securing the right tenant. Our years of experience has shown that if a tenant is not willing or is unable to pay for their referencing and a token administration fee is probably not the right tenant for you. Q. Who should you do a tenant background & referencing check to? A. We say all types of tenants – Lodgers, flatmates, professionals, DSS, LHA and housing benefit tenants. Do not take any chances whatsoever, don't be fooled by the smart suit, the angelic face, the empty promises made by some DSS tenants, tenants that hide their destructive pasts. Let them show commitment by at least paying towards their background checks, you will find those that have something to hide soon move on to the poor sod of a landlord that believes their fairy tales. Q. But we know that most DSS, LHA tenants & Housing Benefit tenants have bad credit, can't afford the rent, so why bother do background checks on them? A. Firstly don't feel pressured by the Council to accept just about anybody. Guess what they won't be there to help you if the tenant stops paying rent, or is destroying your property. It is your responsibility as the landlord to make sure the prospective tenant has not simply been rehoused by the council because of its legal obligation, having left a trail of destruction elsewhere. Q. My DSS, LHA, Housing benefit tenant simply does not have the money to pay upfront for the tenant referencing? A. Put a clause in the tenancy contract that the tenant has to pay for it before the end of the term or it will be deducted from the deposit at the end of the tenancy. A. As most DSS have bad credit this might be expected, but as their rent will be paid for, what you should concentrate on in the report is criminal and background history. You are better off forgoing the fee than having the wrong tenant move in and create a trail of debt, destruction and financial history for you. Q. Should I do a check on a possible room mate or flat mate? A. The banks, credit card companies have more money than you and are more likely to be able to weather a default, so what makes you think you should not be bothered to check who you will be renting too. A flat mate can hijack your identity, make it hard for you to get credit if they move in with you and register on the same electoral register as your abode. 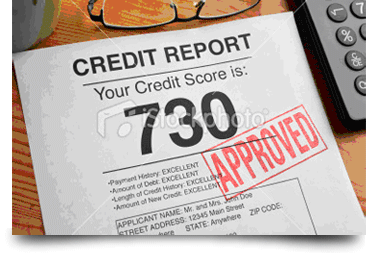 There bad credit history will be associated with your address and everybody living in it. Take a smarter approach to screening potential tenants. An Advanced Rentchecks Report is thorough, fair and efficient. We aim to process applications within 24-48 hours. • Linked address search (Locates undisclosed associated addresses & residence history). • Validation & collection of 3 references (All referees are contacted directly). •Accountant / Solicitor references collected. payments of the proposed agreement. •Rentchecks System Alerts (Bad and high risk tenant's details are held within this database). •Reliable Acceptability score (Proven scoring system designed to assess the applicant's overall suitability). • Delivery within 2 working days (same day decision for priority applications). • Affordability analysis (Assesses the applicant's ability afford the proposed rent). We offer a very competitively priced tenant referencing service that as a landlord you can opt for the tenant to pay for. The fee the tenant pays includes our admin fee and processing fee. The tenant will be expected to pay £65 to proceed with the application, in our experience if they can't afford or refuse to pay they are not the right tenant. However as a landlord you might want to pay the fee yourself, we are very competitive see some of the fees charged by letting agents below.